A meeting between Whitney Houston and the producers of the Bond movies last week has fuelled speculation that the diva may well sign up for the next 007 flick. 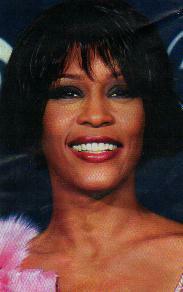 Whitney met up with Barbara Brocolli, the series' founder, although sources said that the encounter was to discuss several movie projects. However, sources say that a deal for Whitney to star in the next Bond movie is far from being agreed one of the main stumbling blocks would be the singer's reliability. Films cost a lot to make and much of that goes on insurance in case a film has to be cancelled due to one of the stars falling ill or dying. Last year Houston's behaviour was notoriously unpredictable she pulled out of several high-profile engagements at the last minute, including the Oscars. So, while the Bond makers would be thrilled to have her sing the soundtrack, they'll need a lot more insurance before they give her an acting role. Waarom is het nog lang niet zeker dat Whitney Houston in een James Bond film gaat spelen? Omdat er ook andere actrices zijn die mee willen doen.